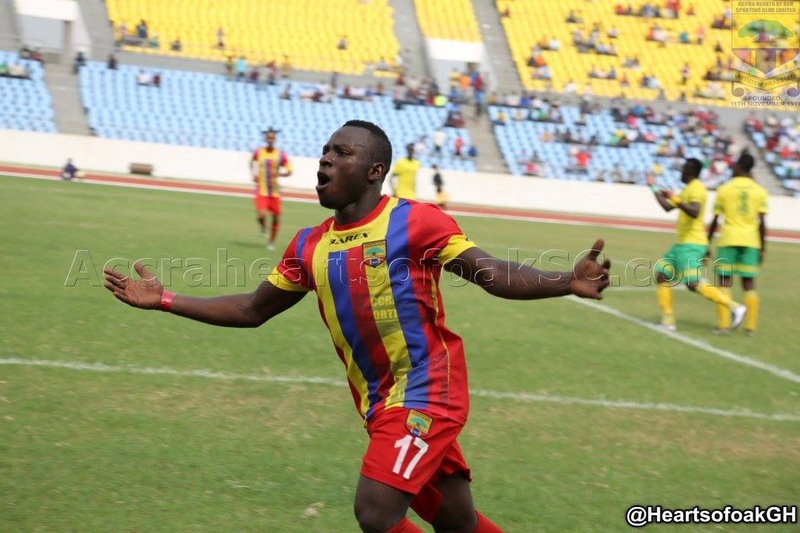 Hearts of Oak have warned Asante Kotoko that winger Patrick Razak is not for sale and he will not be joining the Reds despite several reports and alleged overtures from the Kumasi-based team. Earlier this week, Razak’s representative, Francis Polly (Esq), said that Kotoko had shown interest in their player and were willing to sign him from Hearts. Razak’s future with the Phobians has been a hot topic for some time now after his good performances for the Black Stars B team in the 2017 WAFU Zone B Nations Cup and Hearts of Oak from across last season and in this season’s Ghana Premier League. There were reports of interest from teams such as Horaya Club of Guinea for Razak’s services but it seems the Phobians are not open to the idea of selling Razak especially to Kotoko and they made their stance clear via statement released on Friday. “The Management of Accra Hearts of Oak wishes to remind the general sporting public especially the club’s followers that if Asante Kotoko did contact our player, Patrick Razak, on a possible transfer as claimed by his lawyer, then they will in violation of Article 18.3 of the FIFA Regulations on the Status of Transfer of Players which states that any interested club must first contact the club the player is contracted to before negotiating with the player. According to reports, Razak’s contract with Hearts of Oak will soon run out but the team is very determined to hold their star man for as long as possible.